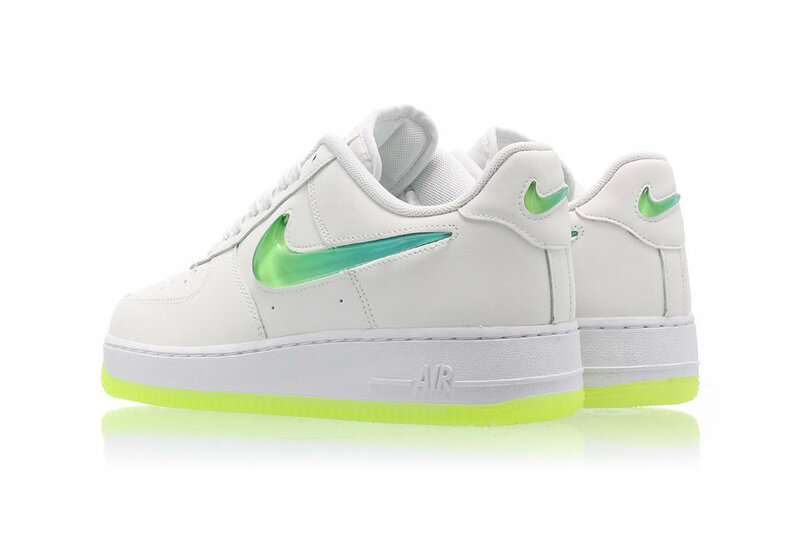 Most of us have a love for the Nike Air Force 1 and it’s getting a mighty green upgrade. The Nike Air Force 1 “Hyper Jade” is ready for all your summer adventures with an all white upper with an ombre “Hyper Jade” swoosh on the lateral side. It also features a mini swoosh on the heel in the same gel like ombre as seen on the lateral. The sneaker is complete with a white midsole and neon “Volt” outsole. You can cop these joints now at Titolo for approximately $147 USD.